TCP: nextseq incorrect if TCP_MAX_UNACKED_SEGMENTS exceeded & FIN true. SMPP schedule_delivery_time displayed wrong in Wireshark 2.1.0. Upgrading to latest version uninstalls Microsoft Visual C++ redistributable. dmg for OS X does not install man pages. Fails to compile against Heimdal 1.5.3. TCP: Next sequence number off by one when sending payload in SYN packet (e.g. TFO). Follow TCP Stream shows duplicate stream data. Dissection engine falsely asserts that EIGRP packet’s checksum is incorrect. IEEE 802.15.4 frames erroneously handed over to ZigBee dissector. Capture Filter Bookmark Inactive in Capture Options page. CLNP dissector does not parse ER NPDU properly.SNMP trap bindings for NON scalar OIDs. BGP LS Link Protection Type TLV (1093) decoding. Application crash sorting column for tcp.window_size_scalefactor up and down. ZigBee Green Power add key during execution. Malformed AMPQ packets for session.expected and session.confirmed fields. 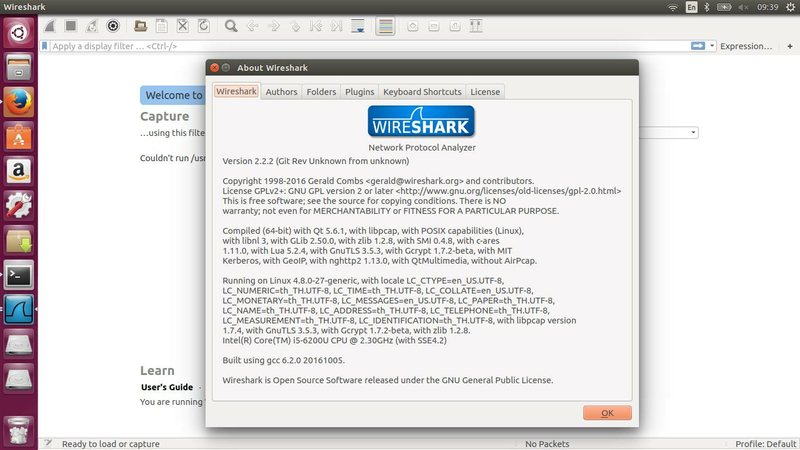 Wireshark 2.2.1 crashes when attempting to merge pcap files. [IS-637A] SMS - Teleservice layer parameter -→ IA5 encoded text is not correctly displayed. Failure to dissect USB Audio feature unit descriptors missing the iFeature field. MSISDN not populated/decoded in JSON GTP-C decoding.